Monday August 27th @ The W Hotel in Austin, TX. NO COVER! 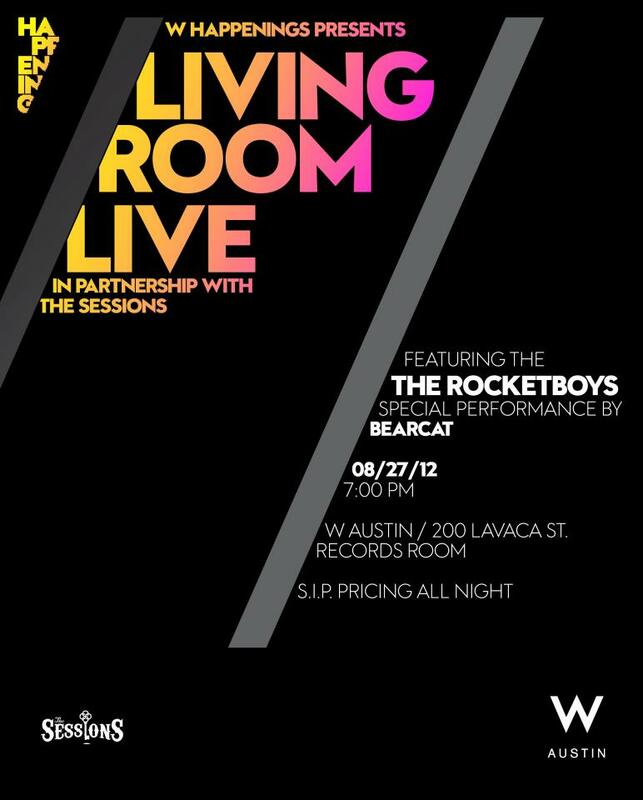 The August installment of Living Room Live presented by The Sessions is going to be a good one. I will kick things off at 7pm. Then Bearcat & The Rocketboys will take the stage. Come on with it. This entry was posted in Shows and tagged August, Austin, Cam, DJ, Hotel, Live, Living Room Live, Mixer, Music, Party, Rogers, Sessions, W. Bookmark the permalink.